Linxia is a county-level city in the province of Gansu of the People’s Republic of China, and the capital of the multi-ethnic Linxia Hui Autonomous Prefecture. It is located in the valley of the Daxia River (a right tributary of the Huanghe), 150 km (by road) southwest of the provincial capital Lanzhou. The population of the entire county-level city of Linxia (which includes both the central city and some rural area) is estimated at 250,000; of which, 58.4% is classified as urban population. According to the prefectural government, 51.4% of Linxia City’s population belongs to the “Hui nationality”, i.e. the Chinese-speaking Muslims. Some members of Linxia Prefecture other minority ethnic groups, such as Dongxiang, Bonan, and Salar, live in the city. Tianshui City was once the first stop that the Silk Road made upon entering the Gansu Province. Situated in the southeastern region of Gansu, it lies halfway between Lanzhou and Xian, and along the upper branch of the Weihe River, where Shaanxi, Gansu and Sichuan provinces converge. 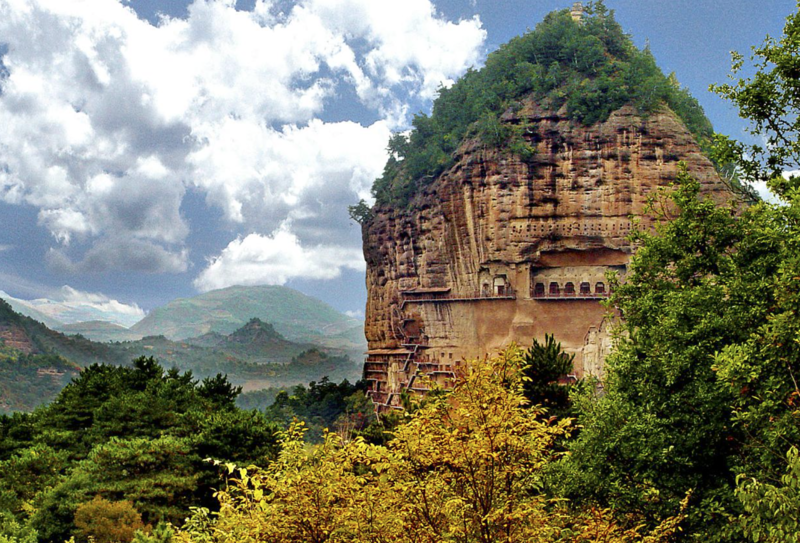 Tianshui is said to have been the hometown of Fuxi, one of ancient China’s three wise kings. As such, the city is praised as the root of ancient Chinese culture. In 688 BC historical records referenced the city (though it was then called Qinting). The name ‘Tianshui’ appeared during the Qin Dynasty (221BC-206BC) when it was given the name Tianshui Shire.